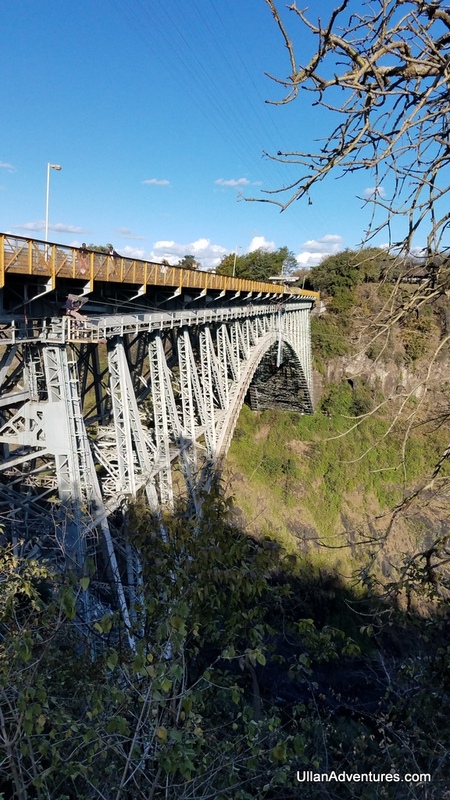 Many years ago, Chuck shared a video of his friend bungee jumping off the Victoria Falls Bridge. It honestly looked terrifying. 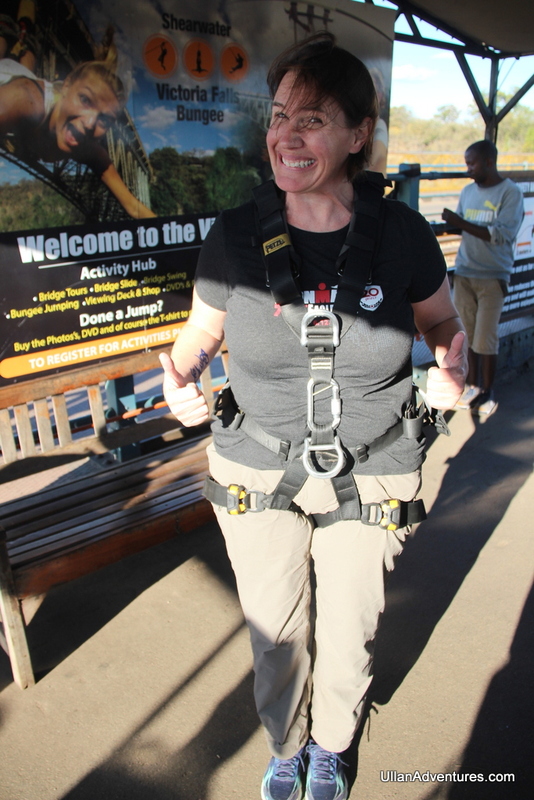 In subsequent years I kept hearing about bungee jumping off the bridge. 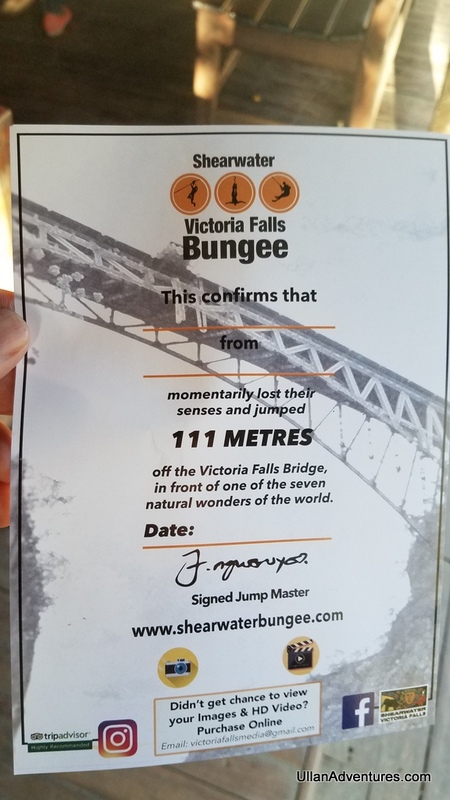 The bridge sounded like one of THE best places in the world to bungee jump and I figured if I was ever going to do that, it’d be there. 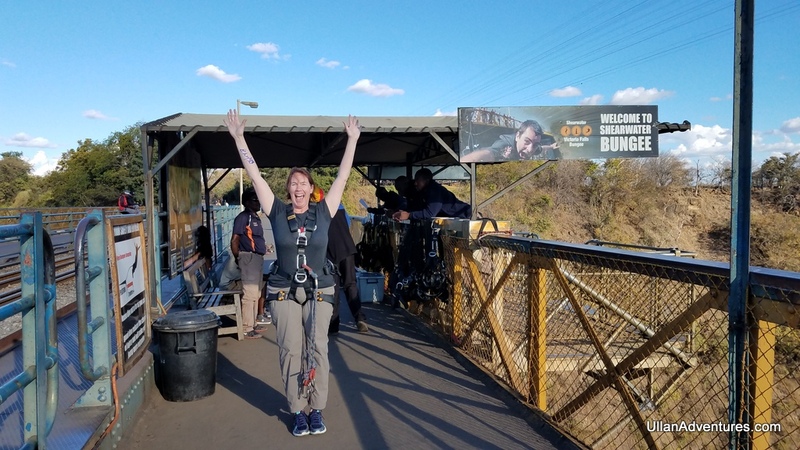 Then I discovered that at the Bridge you can bungee or do the Swing which is like bungee jumping except you don’t end up upside down and you swing like a pendulum at the bottom instead of bouncing back up. Yes, please! Before our trip, all of us were interested in doing the Swing jump. 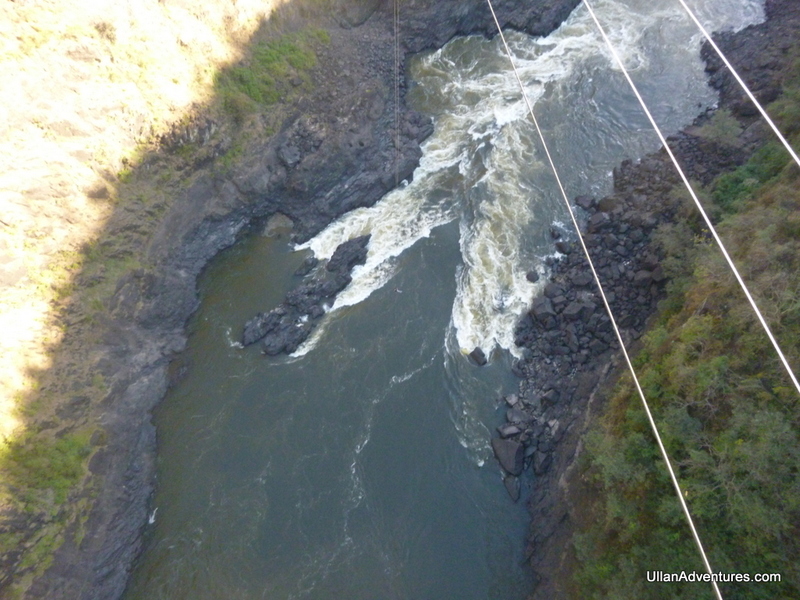 However, the kids were too young to jump off the bridge, but they could do the Gorge Swing at a gorge near the falls. Due to timing, Beckett and Mara were up first. A little bit after their jump, it was time for me to do it. I kind of didn’t want to. We were at the end of our trip and I’d done so many cool, incredible things and was happy with how the whole trip had gone. Why tempt fate? Why add one more thing at the end? Well, because I’m me and I knew I’d regret not doing it for the rest of my life. If I was ever going to do it, it was here and it was now. So I paid my money, and tried not to panic. 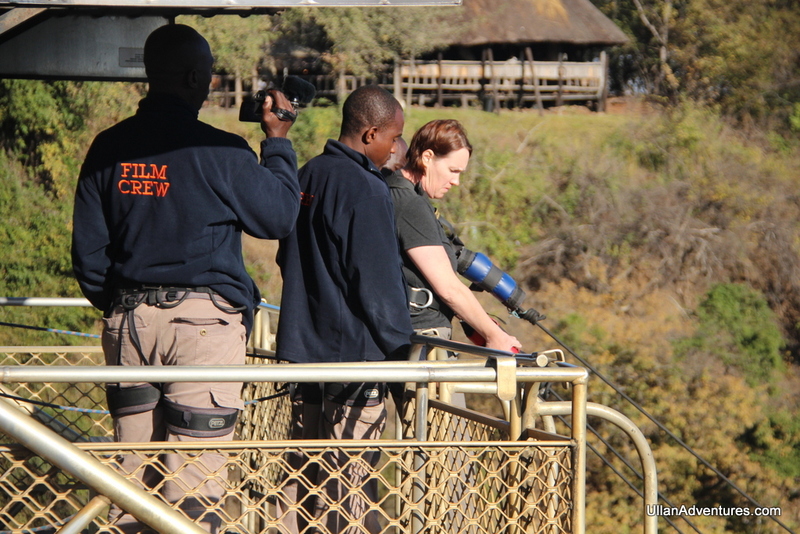 The jump area was empty and we didn’t see anyone jumping our entire time in Victoria Falls. And the guys running the place were so laid back and were chatting away while they got me suited up. I was not feeling confident. Then it was go time. I got to the edge, counted down from 3, and stood there. I just couldn’t make myself jump. I looked over the edge and my mind was a jumble of “WTF am I doing?” and “OK, I can do this”. The guys running it started giving me a hard time, but I told them to just give me a minute. I took a deep breath, counted down from 3, and… jumped. I fell completely weightless for a few seconds. I can’t even explain how that feels. It’s surreal and your mind is trying to figure out what is happening and everything slows down making it seem longer than it really is. It’s actually a pretty disconcerting feeling, but a neat sensation to experience as well. 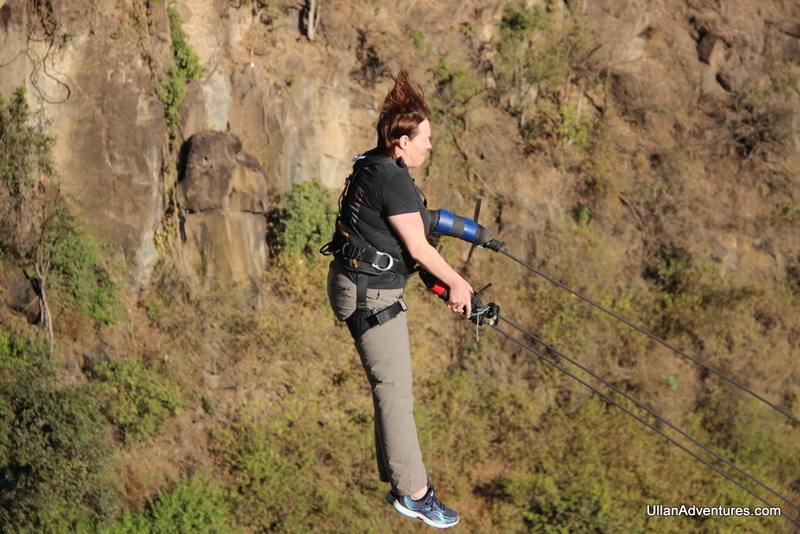 After falling for a few seconds, I felt the tug of the rope and I started to swing out into the gorge. My first thought as I started to swing? “I didn’t die!” At this point, I relaxed and enjoyed the swinging. After swinging the first arc, I looked up and waved to Chuck and the kids on the Bridge. I may have yelled out a loud “Woot” as well. See the tiny speck that is me down there? 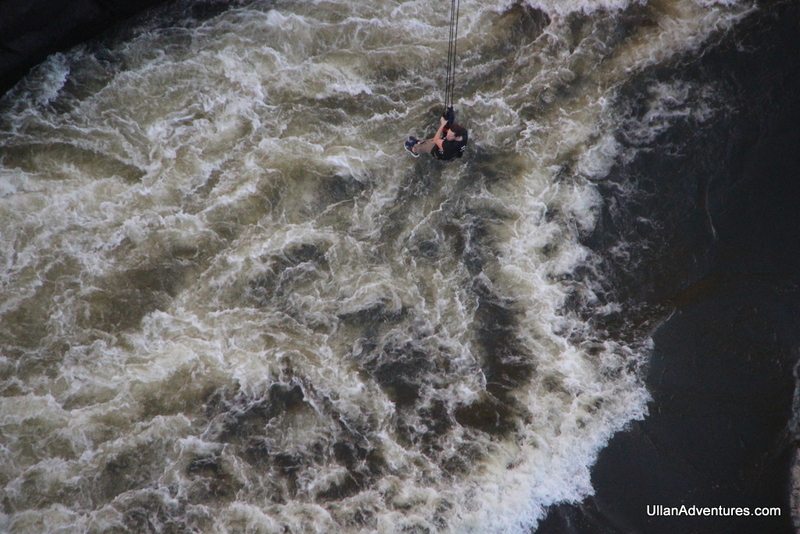 I swung back and forth a few times, swinging under the bridge then back into the gorge. That part was really cool and gave me a chance to look around and really experience where I was and what I was doing. …until I got to the catwalk under the bridge. 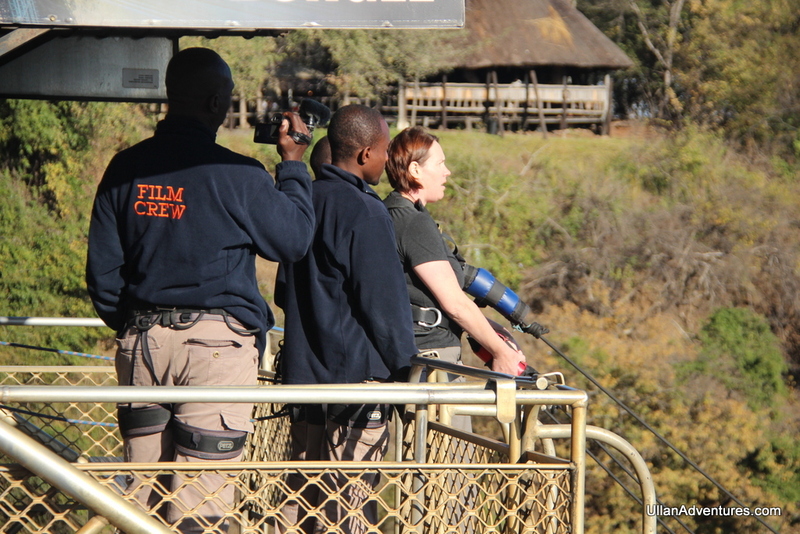 The guy there hoisted my legs over the railing, but had me dangling backwards and tilted precariously towards the gorge. And then he unhooked one of my cables. 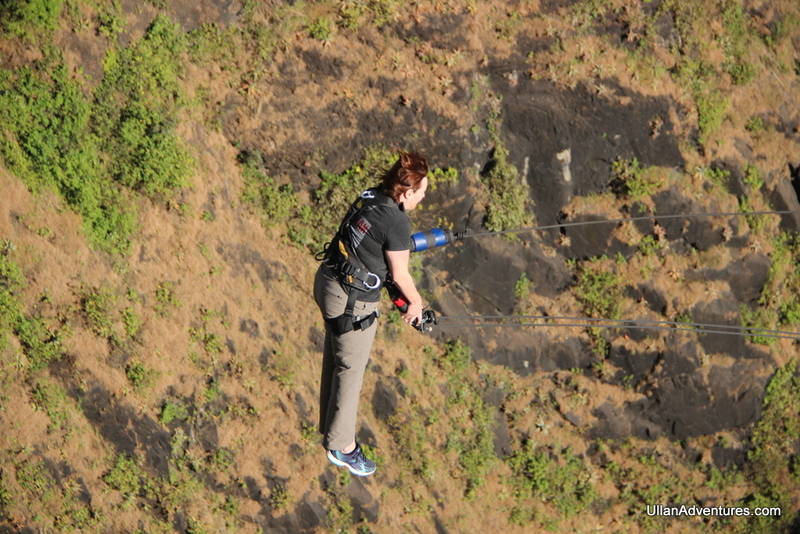 I grabbed onto the rope and to him for dear life as I thought I was going to fall backwards back into the gorge. This moment was pure terror and no amount of convincing could make me let go. Eventually, I trusted him that he had me and I let go at which point they got me up and over the railing and onto safe ground. Phew! It honestly took me a while to sort the whole experience out and come off the adrenaline high. I was so glad I did it, but amazed and freaked out that I did it at the same time. Later that night as I tried to fall asleep, I kept experiencing the free fall sensation and it would jolt me awake. Not fun. 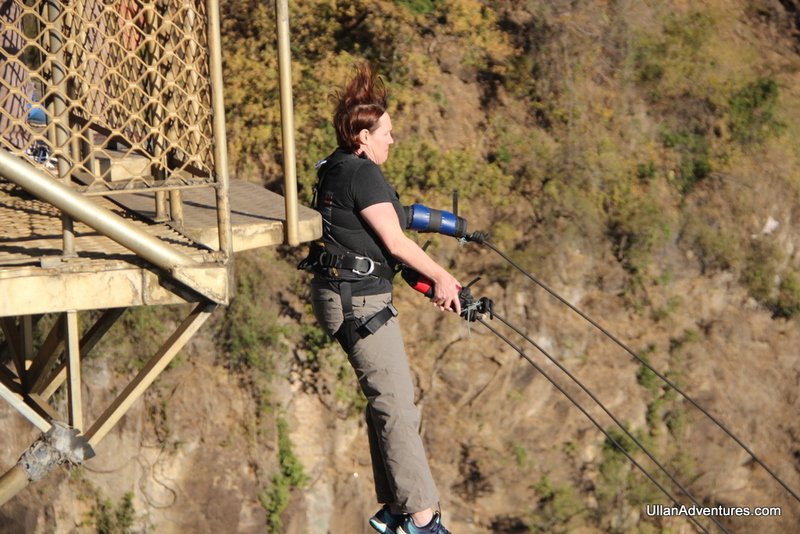 Now that I’ve had time to reflect on it, I still think it was one of the scariest and stupidest things I’ve ever done. That said, I’m so glad I did it and experienced it, but I’m not sure I ever need to do it again. It was definitely a cool, adventurous experience though, and I would absolutely recommend it to anyone adventurous.